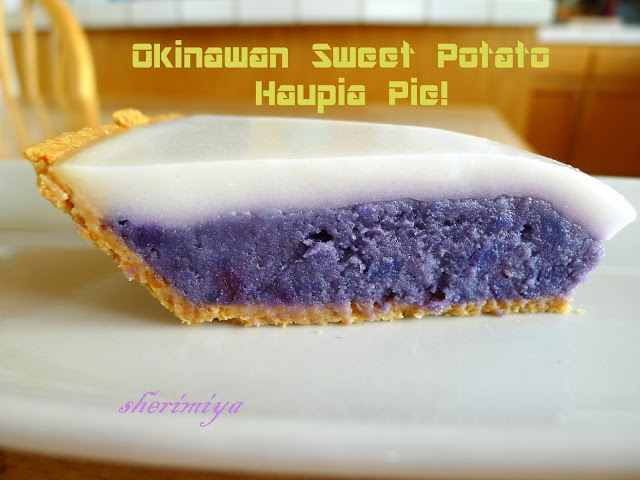 Okinawan Sweet Potato Haupia Pie, originally uploaded by sherimiya ♥. We had the usual Thanksgiving fixin's this year but the one dish that excited me the most was my Okinawan Sweet Potato Haupia pie. It was the first time I'd made it, although I've eaten it before and knew I loved it. For some reason I thought it would be labor-intensive and difficult to get right. I used this recipe by Jo Anne Sugimoto and it came out just right. Mix the dry ingredients together, then add nuts and butter, cutting with a pastry cutter until crumbly, then press into pie pan. Or you can use a premade crust, which is what I did. Cream butter and sugar until smooth in medium bowl. Add eggs, then mashed potato, then the remaining ingredients. Spread into the crust but leave a half inch for the haupia on top. Bake the pie at 350F for 30 minutes (mine took 40 minutes) until the crust is golden and the potato filling is lightly browning. Let cool. Put the milk and water into pan. Mix sugar and cornstarch together, then add to the liquids. Turn on medium heat and stir constantly until dissoved and thickened, several minutes. Quickly pour haupia over pie evenly and refrigerate for a few hours or overnight. Cut and serve when cooled. I know, it seems like a lot of work. But trust me, it's TOTALLY worth it. The light sweet potato flavor combines extremely well with the sweet coconut topping. Plus, it's so pretty! Maybe my crust was on the small side, but I had extra leftover sweet potato filling that didn't fit in the pie shell. If you have extra crust, you could make tarts. Or you could probably bake it without crust and it would still be good. I decided to add some mochiko flour and bake a few mini cupcakes; these came out pretty good, but I didn't have the patience to bake the rest as it had become quite late. So I poured the rest into a square dish and microwaved a few minutes to make "mochi". I was happy to see that the purple color held up though all the cooking! My mochi isn't smooth because the potato I used was mashed to a sort of chunky consistency. Whipping the potatoes into a more liquid puree would probably result in smoother pie and mochi. As it was, I added more evaporated milk and mochiko until the consistency looked right (pourable), then zapped until it was done. If you make microwave mochi, you'll have to watch it carefully because it will cook rather quickly. If you have a high-wattage oven it will cook faster than a lower-wattage oven, so my cooking time will differ from yours. I will definitely make this again soon. Like -- at Christmas. How about you? Edited to include a pic of this pie which I made for 10-31-11. These potatoes were perfectly ripe and fresh, and when I steamed them they turned a beautiful vibrant dark purple. I had to make a pie. Hm, this is really interesting. I've never seen or eaten anything like this before. I know my mom would definitely take off the top haipua part and devour the rest! It looks and sounds like a very smooth and sweet dish? All in all, it looks beautiful. I love the colours! Hope you had a good Thanksgiving Sheri! Thank you for the detailed tutorial. You know I have to try this now. SM is going to be in haupia OSP heaven. Hi Chantale! I think it's a regional (Hawaii) dessert. I personally love haupia and I would eat haupia cream pie just by itself. Adding the sweet potato makes it "healthy", haha! It is very smooth and pudding-y. We had a great day and I hope you all did too! This sounds fantastic! 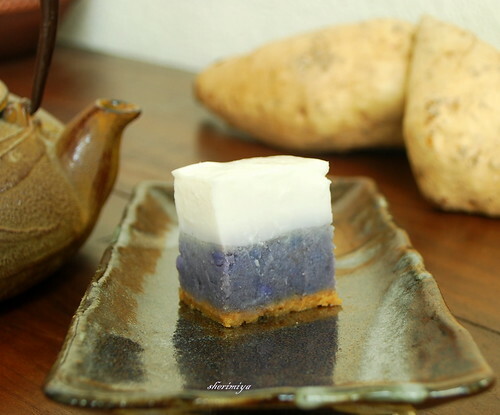 I'd never heard of this, but I adore Okinawan sweet potatoes... will try this asap! Thanks for sharing! The first picture of your tart kind of hypnotized me! the visual effect is stunning and it looks so good! Thanks Megg, Token, Pipaw and LadySaotome! LadySaotome, go ahead and try regular sweet potatoes! I want to try kabocha squash myself. 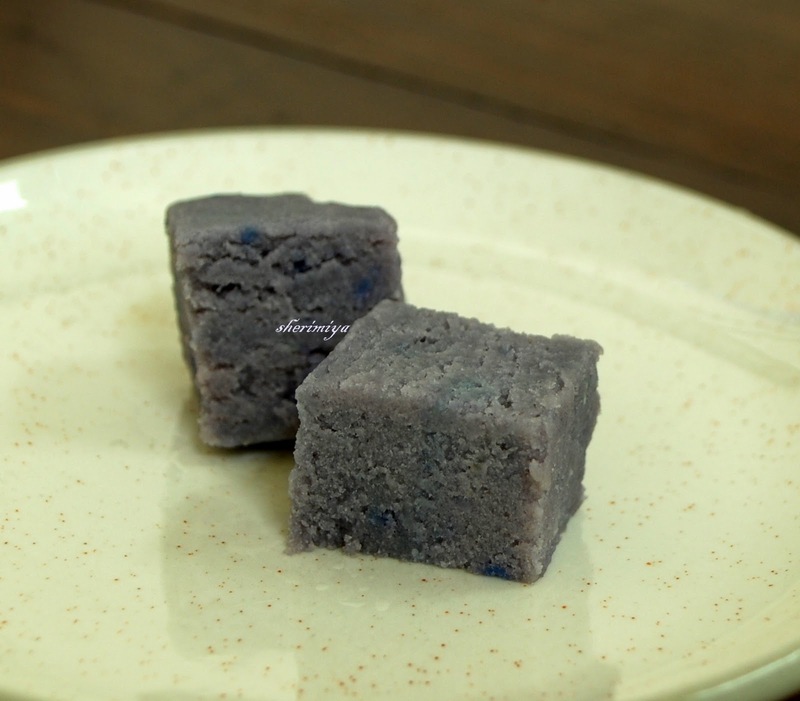 This dessert has an earthy elegance and exciting purple color...lovely! Thanks bentobird! I was surprised the intense color held up. It's just beautiful. Some potatoes don't cook dark purple, but I got lucky with the one I chose. Perfect timing! I had okinawan haupia bars in Hawaii. Here in So. Cal okinawan sweet potatoes are not easy to find...until now. I found some at the local Nijia Market today. I was going to look for a recipe. I will just try yours! Thanks. That's great Megg!! I hope you'll love it. Now that I'm looking at this picture again I feel like making another one. also, i tried making mochi but it didn't turn out so great... how much mochi flour did you add? 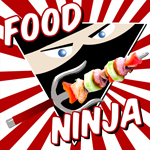 I saw your post and love your blog! You sound like a wonderful person. I hadn't measured the flour since I hadn't measured the mash either, so it was just a guess until the mixture turned liquidy enough to pour slowly. I know, it's not very descriptive; sorry! If I gain more experience with mochiko, I might try to figure out what the best ratio is. This is amazing, never heard of Haupia before much less with sweet potato. I'll probably give this a try. Please post more sweets! Oh, do try it! It's a delicious combo! Can't wait to try this recipe! The trick will be finding the purple sweet potato in the Bay Area...seems simple but this will be the tricky part. Thanks for the detailed recipe. I'm sure my clan will be so thrilled....a taste of home! If you're in the Bay Area you should have no problem finding the Okinawan sweet potato in your nearby Asian market or in SF Chinatown. Good luck, and enjoy!